Pictured Here are Jim Oakes (The Texas Truck Puncher!) and CB McHaul (The Daringest Dude on the Highway) Absent is Kid Watts (The Teen Trucker) who is drawn to look ALOT like the Fonz. 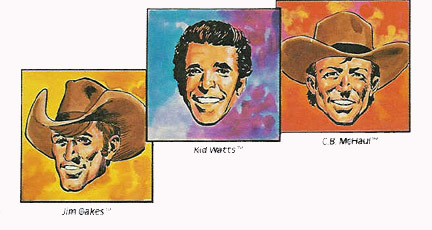 Kid Watts and Jim Oakes were not offered with any playsets, so both figures are tough to find. Sears did offer CB and Jim Oakes as a two pack but for some reason not Kid Watts, making him the toughest figure to find. Many people have difficulty identifying loose CB McHaul figures adding to the rarity. Mint on card CB figures are hard to find, usually only The Bad Guys are found carded. Despite their rarity, carded McHaul characters can often be purchased for a reasonable amount. 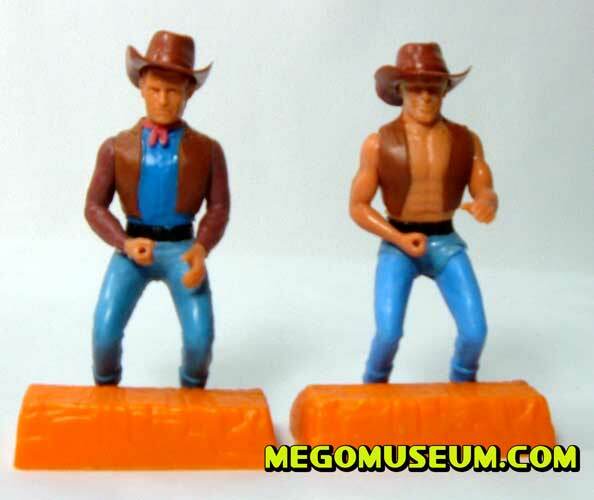 Like alot of Mego Comic Action Heroes playsets, the Rig came with a free CB figure. The Rig serves as a working amplifer that works like a CB, the concept was that the child could simulate real trucker talk while playing with the figures, actually a very novel concept. 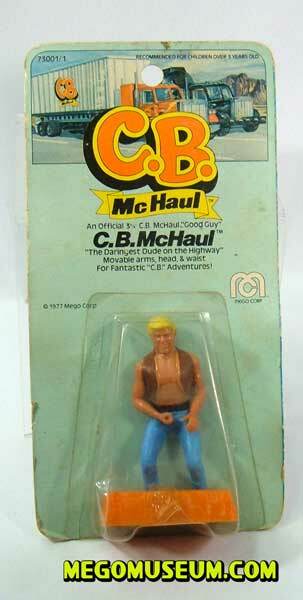 The Packaging for the CB McHaul rig, the dictionary of CB lingo is often missing. The back of the box features artwork by Harold Shull . 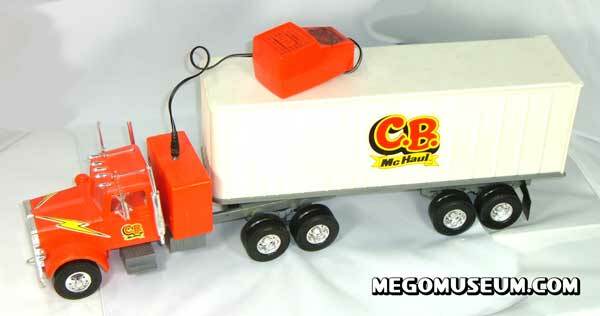 For more Mego CB McHaul vehicles, check out the The Bear Masher and the Trooper car.